Inspiration: Mapping Chicago from Below – Kera Lovell, Ph.D. The history of cartography is often remembered as a legacy of white men. With “imperial eyes” (Pratt, 1992), cartographers granted power to largely northern white nation-states through borders and names with the stroke of a pen. From the age of exploration to mid-twentieth century redlining, maps have shaped people, places, histories, and our identities. Ultimately, maps visualize a particular subset of information at a particular moment in time. When analyzed within their particular historical context through a critical lens of power structures, they collectively illuminate a quilt of information about the relationship between people and power. If you zoomed out, you could see how close rail lines and the waterways were to the East. As shown in this stylistically identical map by Samuel Greeley, families in this neighborhood earned an average of $7.50 per week working in nearby factories. Do you know what a map of this area looks like today? It’s a tollway. 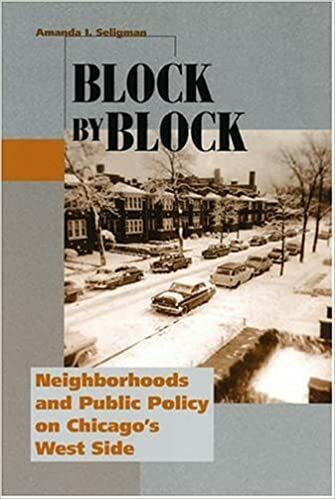 In the mid-twentieth century, politicians embarked on a massive urban renewal campaign to displace historic immigrant neighborhoods and communities of working-class people of color out of the city. This demolition would make way for a new highway enabling middle-class whites to travel from the suburbs to the inner-city for work. Additionally, huge portions of the neighborhood were demolished as part of UIC’s expansion campaign. For more on this read Amanda Seligman’s book Block by Block. Although Holbrook’s work is significant (as well as fun and celebratory in light of Women’s History Month), focused narratives heralding the contributions of select middle-class women often read as more additive than revolutionary – at times reinforcing a liberal feminist discourse of “look, women were there” rather than re-examining how power structures have shaped the histories we hide, exalt, and define as part of our identities. Ultimately, how can we excavate histories of mapping “from below”? What can we learn from revealing map-making techniques of migrant farm workers, the enslaved, prostitutes, meth addicts, or Civil Rights Movement activists? What would current folk cartography reveal about urban power relations today?